The holiday season truly has begun, because one of my favorite Broadway events has announced its return. The ASTEP New York City Christmas concert will play its third annual show at Joe’s Pub on December 20 at 7 p.m. The brilliant Lynne Shankel will again play host and music director to a night full of some of our favorite Broadway stars singing holiday tunes in creative, new arrangements. If this year is to be half as amazing as last year’s concert (and I know it will), all you Rushers should be buying your tickets now. From the performer lineup this year, I can tell you the names I’m most looking forward to are Chestor Gregory, Andy Karl, Lindsay Mendez, Orfeh, and Elizabeth Stanley. Stanley is the only actor in that group who has not performed at the ASTEP New York City Christmas concert before. The rest of the spectacular list includes Michael Buchanan, David Josefsberg, Anya Singleton, Sally Wilfert, and Betsy Wolfe. Noticeably missing from the lineup is Raul Esparza, who appeared in New York City Christmas’s first two years and made the stage sizzle with his Spanish-infused rendition of “O Holy Night.” (My favorite Christmas song performed by my favorite Broadway actor—not a bad pairing). But do not fear, I am bringing that incredible performance to you below! 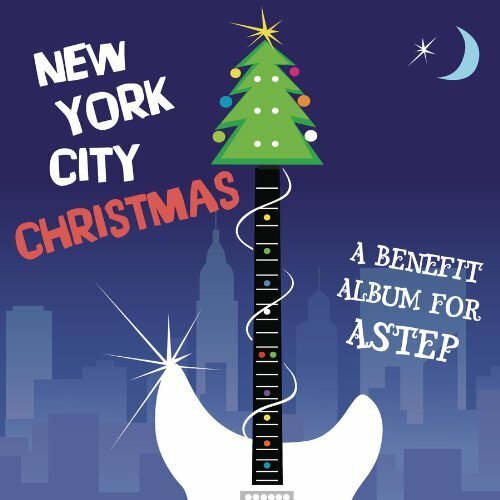 Now that you’ve seen the amazing performances that the ASTEP New York City Christmas concert produces, you’ll want to buy a ticket. Tickets can be purchased in person at Joe’s Pub or from the website. $50 admission guarantees you seating, and $25 for standing room. Will you be attending the New York City Christmas concert, Rushers? Did you make it to the previous years? Which performer are you most excited to see? Leave your holiday cheer in the comments below! Are you saying that Raul will not be available this year? That would be a shame. Please let me know whether he is or not, since it affects my plans to be there. I haven’t been that well, so traveling to the city is not easy.